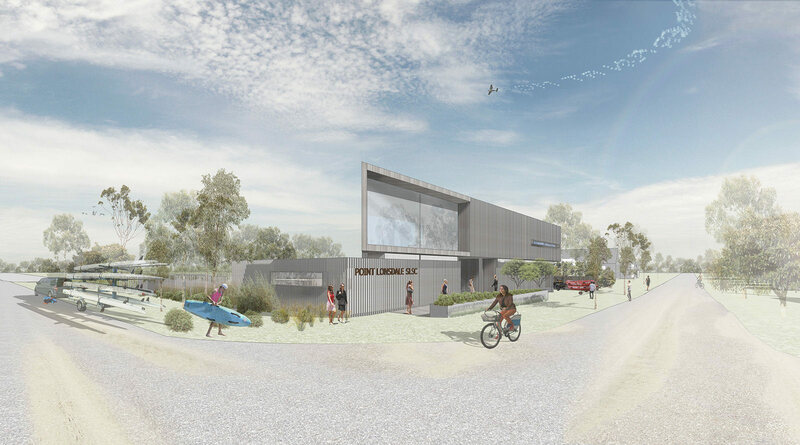 The rejuvenated precinct includes a dynamic new community pavilion that accommodates the Brighton LSC, multi-purpose meeting space, public plaza, cafe and public amenities. 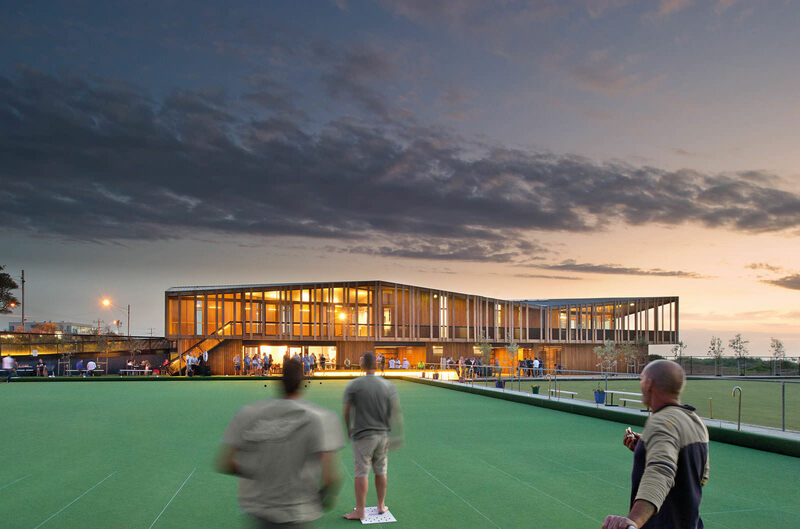 The design preserves the character and historical significance of the precinct, whilst improving the appearance, amenity, safety and functionality of the site and provides a signature landmark building. The ground floor is recessed into the dunes to reduce visual impact of the building. The second floor is defined by two lightweight pavilions that embrace the open-air beach environment and facilitate community activities. 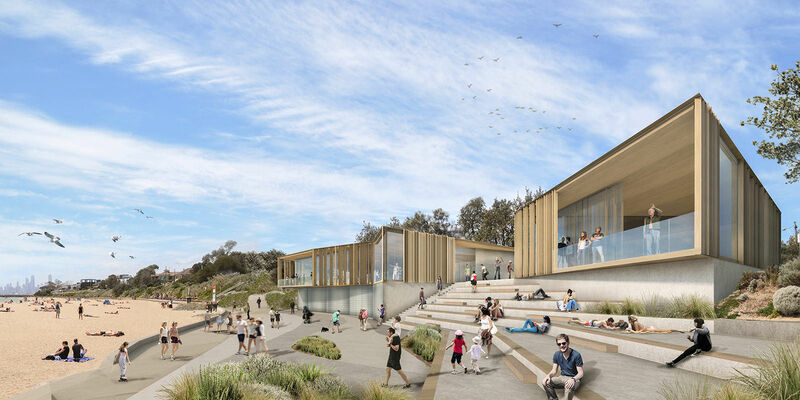 The pavilions capitalize on their elevated position by capturing bay and city views.